Venture into Nineteen Eighty-Four by George Orwell in the Spanish capital and prepare to discover a story of political fiction about how the future would look under a totalitarian dictatorship. The book came as a statement against totalitarianism in the 2oth century. 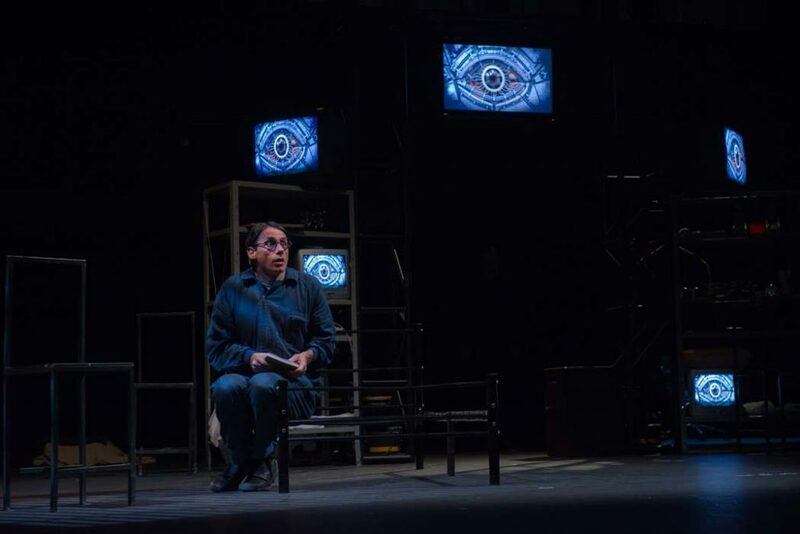 The play reveals a universe of terror and control oppressing a modern-day society, brought to the present by Madrid director Carlos Martínez-Abarca. Readers who were struck by the novel are now flocking to witness a theatre performance represented with the technological capacity of modern times. The play sets an extremely sombre yet futuristic scene. Craftsmanship is combined with audiovisual effects and technology. Lead actor Alberto Berzal plays the role of the main character, Winston Smith. Altogether, seven of the novel’s characters are played. Since its publication in 1949, various totalitarian regimes have emerged. One of the countries where the original novel became a bestseller is the USA. In Spain, it made it to the top 50 most-sold books in 2016. Nineteen Eighty-Four was written to seep into the social and collective subconscious. When it was first published, the story seemed like nothing but an impossible fiction, though it sparked the question of whether humans would ever be capable of developing such technology. To this day, the plot still raises a great many questions, but its narrative ideas have now become particularly unsettling. Although it is a difficult piece to put on stage, the Paradoja theatre group has succeeded in reaching the audience and turning them into yet another victim – or accomplice!